NAIROBI, Kenya, Mar 3 – Hayat Kimya – under the Hayat Group, a US$3 billion turnover Turkish conglomerate – has officially launched its operations in Kenya, with the introduction of its Molfix baby diaper brand. Speaking at the launch, Hayat Kimya Global CEO Avni Kigili gave assurance to the company’s commitment to the Kenyan market, with a target of taking market leadership within two years. In Kenya, there are 3.5 million babies aged between 0-36 months, who also make up 7.3 per cent of the population. On average, a mother uses four diapers a day on a baby making the annual diaper consumption in Kenya to nearly 800 million, according to research Hayat Kimya shared during launch event. Hayat Kimya will set off their operations in the market with two varieties of the Molfix diapers; Molfix day and night diapers, and the Molfix baby pants. The pricing of the diapers will start from Sh20. During the launch, Hayat Kimya also unveiled Terryanne Chebet as its brand ambassador in Kenya. 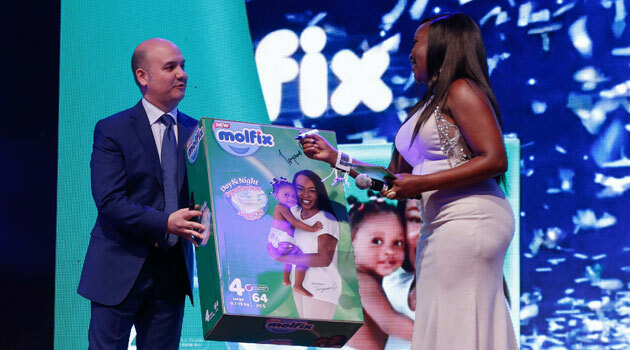 Chebet referred to the brands anti-leakage and high absorbency qualities as the reason to her using Molfix for her one year old baby girl, Talaa. The company employs 8.000 people and operates in 10 subsidiaries across Middle East, Asia and Africa, with 14 global brands in diapers, hygienic pads, detergents and cleansing tissue categories.